Here is the thing: You're a YouTube fan and love to upload your favorite DVD movies, home DVD movies, etc. to YouTube. But you're totally lost when you want to upload DVD to YouTube to share with your family members, friends, colleagues, etc. since YouTube only supports videos that are less than 10 minutes and smaller than 100MB in AVI, FLV, MP4,MOV, WMV, MPEG, etc. formats. Here we'll show you how to solve the problem. Since DVD is not supported by YouTube and DVD files are always too huge for YouTube, what you need to do is to convert DVD to YouTube supported video formats and cut DVD into multiple smaller clips that can be accepted by YouTube. To do this, a DVD ripper and editor is needed. Luckily, the best DVD Ripper for Windows from Aimersoft just meets your needs. With it, you can fast rip videos from DVD for sharing on YouTube and trim the videos into multiple segments with short duration. Why choose Aimersoft DVD Ripper? Let's go deep into this program. 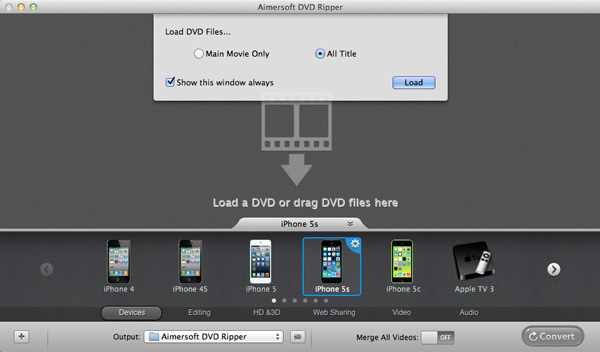 If you're using a Mac, simply turn to Aimersoft DVD Ripper for Mac to convert DVD to YouTube supported format on Mac (Mountain Lion and Mavericks included). Not only YouTube file format, this Mac DVD to YouTube ripper also provide 170+ presets format for devices like iPhone, iPad, Samsung galaxy tab, HTC, android mobile phone, Xbox One, PS4 and various gadgets. Apart from that, it will add your ripped DVD movies to iTunes Library. Sync DVD movies to YouTube or iTunes is not a problem any more. What's more, this DVD converter is every easy to use. Any person can handle it without any skills needed. Now just download the program and check out the steps below. Note that the product tutorial below uses DVD Ripper for Windows screenshots to show you how to get the work easily done. 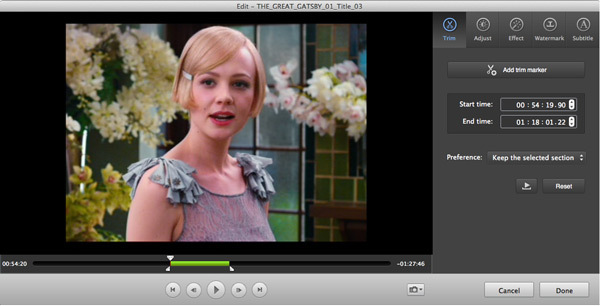 The way to rip DVD to YouTube videos on Mac OS X (including Mountain Lion and Mavericks) is the same. Please just make sure you've downloaded the right version. When the conversion completes, you can click Upload Video on YouTube to upload the converted video files to YouTube without any troubles. 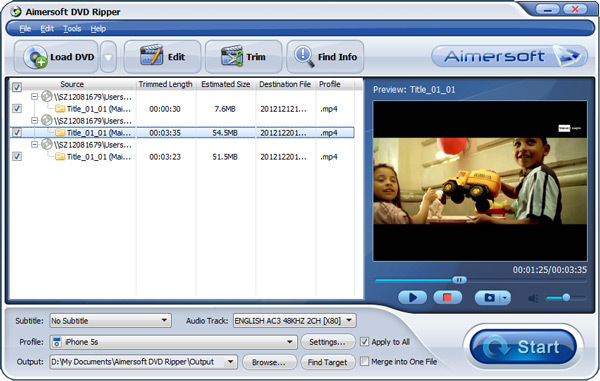 After installing Aimersoft DVD Ripper for Mac, activate the Mac DVD to YouTube converter and insert a DVD to the computer drive. You can import files to the ripper by clicking "Files" > "Load DVD Files" or directly dragging and dropping the DVD folder into the main window. Note that you can also load IFO, ISO files. After successfully loading DVD movies, choose YouTube preset from the "Web Sharing" format list. If you want to merge different titles into one file, tick "Merge all videos". Before beginning the conversion, you are also able to edit the video as you like. Aimersoft built-in video editor allows you to touch up movies by trimming, cropping, adding watermarks, subtitles and more. When you finish all settings, click the Convert button to activate the conversion from DVD to YouTube immediately.